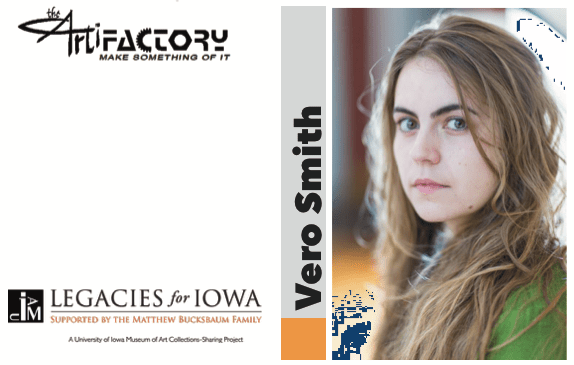 Vero Smith is the Assistant Curator of the Legacies for Iowa Collections-Sharing Project at the University of Iowa Museum of Art. In March 2016, she graduated from Harvard Graduate School of Design’s master of design studies program in art, design, and the public domain. The Legacies for Iowa project is a large-scale arts-sharing initiative that brings the extraordinary collections of the University of Iowa Museum of Art to communities across the state. This lecture will explore the history of museums more generally as well as how Legacies for Iowa hopes to become a model for contemporary museum practice.